It will come as no surprise to anyone familiar with the incisive filmmaking of Heidi Ewing and Rachel Grady (Jesus Camp; 12th & Delaware; The Education of Mohammed Hussein) that the focus of their latest film is a fervent religious group. 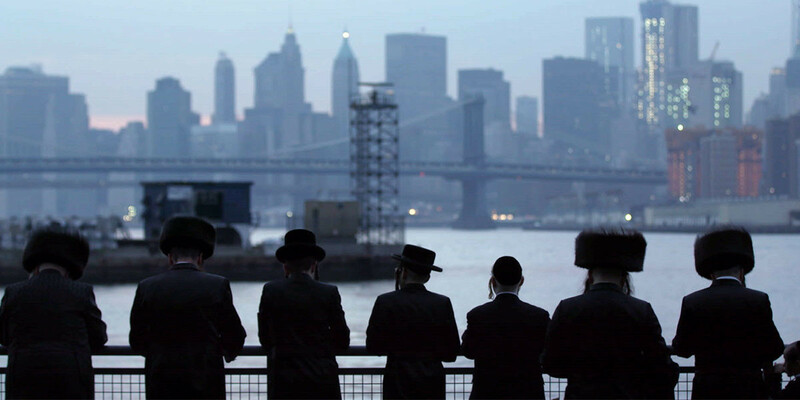 In One of Us, which premiered October 20 on Netflix, the filmmakers have turned their lens on a conservative Hasidic Jewish community in Brooklyn, one that will go to great lengths to keep its members within the fold and away from the modern world. What truly sets their new film apart from their previous work is its central question: When you want out, what lengths does it take to leave, and is it worth the cost? Unlike other religious factions, the ultra-orthodox Hasidim censor the education, media and vocational skills within the community so highly that members who want to defect have virtually no knowledge or training to function in modern society. Three such people and their heartbreaking stories create the backbone of One of Us, and Grady and Ewing take great care in sharing their stories. Each person has given up, fled or forsaken their old life, losing parts of themselves in order to gain new identities. There is Ari, who, upon discovering the Internet and Wikipedia, is fascinated by modern technology, and struggles to find gainful employment and recover from addiction. There is Luzer, an aspiring actor, who no longer speaks to his parents or siblings after divorcing his wife and leaving behind their two children to move to Los Angeles. And finally, and most heartbreakingly, there is Etty, a 30-year-old woman whose husband has been removed from their home at the beginning of the film by the police for suspected abuse and from whom she is seeking custody of their seven children. I sat down with Ewing and Grady at the Viceroy L’Ermitage hotel in Beverly Hills to discuss their latest work. How did you choose these three stories as the focus of your film? Were you familiar with this particular faction of Judaism? Rachel Grady: We were not experts in terms of the context of why this community behaves the way it does and functions the way it does. Honestly, we were just curious. We live in New York. We knew that they were very religious, and as filmmakers we are interested in what you can pull out of an insular, isolated religious community. When we started to learn about the trauma of those who have left the fold, it helped to understand how isolated trauma can be passed down from generation to generation. We thought there was something so fascinating and relatable about passing down the trauma of your ancestors. Heidi Ewing: But on the other hand, the world of our three main subjects just crumbled when they chose to leave in a way that has few parallels in society. Literally one day you have your life and the next you've got no one. The upstairs neighbor, your friends, your mother—no one will talk to you. We were told that some parents sit Shiva, a Jewish tradition of mourning, when their children leave the community. So your way of understanding this community was through those who chose to leave it? HE: We only go into these three stories, but all of our subjects, and plenty more we could not include, wanted to leave because they couldn't handle it, were so tired of it, and so beaten down and made to feel invisible, and have already endured some kind of abuse—sexual abuse or physical abuse—at the hands of their husbands or their father or uncle. And what's worse is that people in the secular world don't understand. It's not like an Iraq or Afghanistan [War] veteran, where most people have a frame of reference for why a person is traumatized. People say, "Oh, he has PTSD because he saw combat." We kind of know that we're supposed to do something to help them. The Hasidic community is so niche that no one knows how to react to someone traumatized by it. With Ari's story, he is a young man fighting drug addiction, and you show how his father is supporting his rehab and helping him in the film. So you've made space to show that there is still compassion. RG: All of these situations are nuanced, especially in a community that is all about family. We saw incredible acts of kindness and warmth in the community, but we also saw there is a price to pay for it. HE: Regarding Ari, his father paid for his treatment and said kind words about him even throughout his struggle with addiction. This is clearly a kind, loving father, but he told us that he and his family will not see our film because they don't want to be exposed to what's in it. That is how the community functions. One-on-one, we had a lot of warm exchanges with people, but when the community needs to act on big issues, it's going to act as a unit. It cannot have dissent. Do you think the community will see the film? RG: The community is so isolated and restrictive that most community members were not even aware when we had cameras filming them. If they had access to a computer or TV, they may have found out when the trailer came out and then they will find out on the October 20 when they sneak out their phone after yeshiva. One of the people you follow, Etty, begins the film not showing her face on camera. How did that affect your choices as filmmakers? HE: We took a leap of faith in casting someone we couldn't show. In a visual medium, not being able to show your main character is a big leap. RG: If we wanted her in the movie, it was something we had to accept. We thought she was strong enough and her story was strong enough and we would figure it out. We would animate her or we would find a creative solution to it. Then it became a form and function decision. She was feeling invisible and what she had to say fell on deaf ears, so it kind of made sense with where she was at in her life. RG: Yes! She said, "I'm ready. Who is going listen to this if I don't show myself?" She became emboldened. She was losing her children. Things were going downhill. She thought, "If not me, then who?" She's an extremely brave person, and in the film we tried to mirror what happened in the production. The audience sees the physical transformation and the emotional transformation. HE: We are sisters with Etty at this point. We love her. We want to help her. We hope this movie helps her. One of Us is now streaming on Netflix. Sarah Haufrect is a freelance writer and full-time communications director for an LA-based education philanthropist for whom she associate produced the recent documentary Teach Us All. Her writing has appeared in Salon, TheMighty, OptionB.org and Psychology Today among others.